Bridgestone, the company that has been the official tyre supplier to the MotoGP series since 2009 have decided to step down from their role after the 2015 MotoGP season. The Japanese giants decided to make the decision public after they signed a one-year contract extension to their current deal which runs out at the end of the 2014 season. 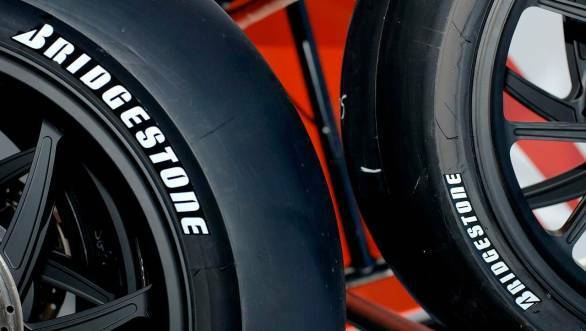 Bridgestone had become MotoGP's very first official tyre sponsors after their competitors Michelin decided to leave the sport and the new tyre rules were laid by MotoGP authorities at the beginning of the 2009 season. Though this exclusivity also earned them a lot of criticism from riders on various occasions over the years, it has generally been agreed that they have been able to produce quality tyres with a certain reliability at a consistent level. The news also triggered a reaction from nine time champion Valentino Rossi, current defending champion Marc Marquez, Dani Pedrosa who all seemed a bit worried by the news. "For me I think it is bad news because - okay the riders all fight to have the best tyres for them [personally] - but I think the quality of the Bridgestones is very, very high and I don't know if another supplier can arrive at the same level." said Rossi. On being asked about the decision they had made Bridgestone General Manager, Global Motorsport Department, Kyota Futami said, "It is with some sadness that we will make our exit from MotoGP after such a prosperous participation in the sport. Yet, having achieved everything we set out to do when we entered the championship over ten years ago, including sharing in many MotoGP World Championships, our company believes it is the right time to implement an exit strategy from the series. Over the next two seasons we will continue our world-class level of support to all the teams and riders, and will keep investing heavily in our MotoGP tyre development programme. We will continue to push the boundaries of motorcycle tyre development over the next two years to ensure that we leave the championship at the end of 2015 in the best way possible."